What system, mechanism, device or other form of electronic and mechanical equipment doesn’t require repairs? It would be highly unlikely! So, why not the locks or even the keys of your house, car or any other property! After all, keys get distorted after years of use and locks might get loose or some parts might need replacement. In fact, when it comes to equipment useful to your security, it must not be neglected. Yet, people don’t seem to appreciate much the usefulness and actual purpose of lock repair. We prefer to wait a bit longer and replace the locks than fix them. At some particular cases, people wouldn’t even notice that their door locks would need repair. Though, the benefits are tremendous. 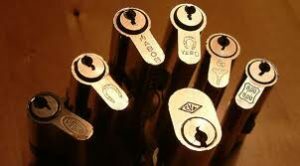 What will you do if you put the key in your lock but the cylinder turns altogether? How will you secure your home if you’ll try to lock the door for the night and the door won’t lock over a damaged strike plate? Let’s see the advantages of lock repair from the other side! Try to imagine of any situation that will bring you closer to serious security problems and the reason would be your failure to repair the locks! It’s also important to understand and remember that locks are affected by the sun, rain, moisture, pressure, quality of locks, installation procedure and force. There are many parameters that will determine their condition and, thus, problems are not always avoidable. Yet, when their repair is a good solution, why should you risk security instead of reinforcing it?